Fun, food, health, art, happiness! Looking for somewhere nice to sit? In amongst all the terrible news this week, it’s good to remember that most people just want to live peacefully and well – in the broadest sense – so I enjoyed coming across a great new site called A nice sit down. It’s simple and it’s sweet. Upload a photo of a public bench you like, add the coordinates and pin its location on a map. You may like the bench itself, or you might love the view it affords, but it’s a great way of sharing a simple pleasure with others. I took a few more photos of my favourite benches today, but I was using a wide angled lens and hurrying a bit, so they aren’t as good as I’d like. The above is one of my favourites, although being stone and a bit mossy it can take a moment or two to realise that you are looking at a seat. It would also be a little cold and damp to sit on in most weathers! I expect that in the past it had a wooden seat attached to the top. I also took a photo of a bench near St Andrew’s Church, sat on by David Tennant and Olivia Coleman in the first series of Broadchurch, but I may have to retake it… not up to my usual standards! Please do get posting your bench photos at www.anicesitdown.co.uk. We’ll be able to see the network of photos grow, and who knows? It may prove to be a good way to plan your next expedition into the British countryside, or discover a new place in your home town. 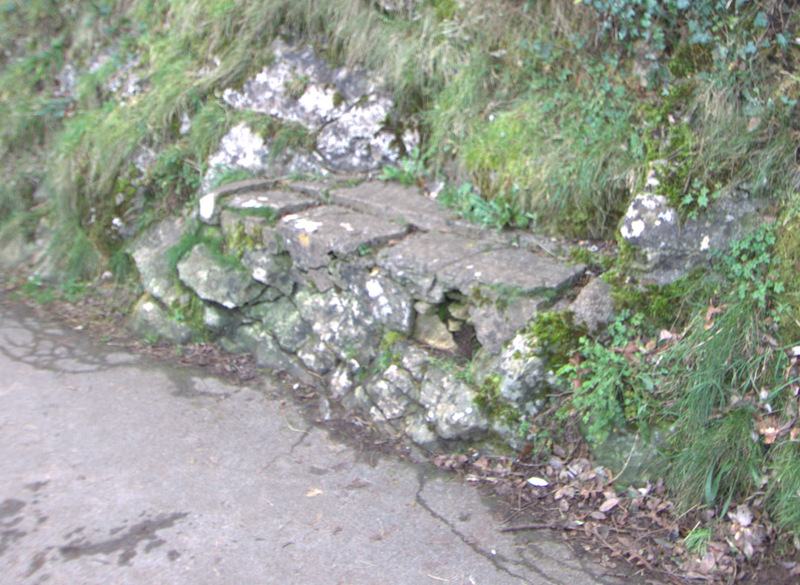 The bench above is on one of my favourite walks in Clevedon, Poet’s Walk. I love the fact that the walk is on a proper pathway, so you don’t have to get too booted-up as you won’t get too muddy even after heavy rain, but you are also far away from traffic and noise. You can properly enjoy the views and the wildlife, while knowing that you are having a gentle work out getting up and down the fairly steep paths. The only way to get properly fit is to find an exercise that you enjoy and therefore want to do. I’ve explained this all much better in my short Kindle book, A beginners guide to walking for pleasure, available on Amazon. A final self-promotional plug is to say that a lot of my Clevedon and other photos and art are available through my RedBubble shop at http://magsart.redbubble.com Please do have a look – your support is hugely appreciated! This entry was posted in Art, Clevedon, My writing and tagged art, Broadchurch, Clevedon, exercise, photography, Poets Walk, walking. ← Safe cycling, safe walking, safe motoring. What’s the answer?